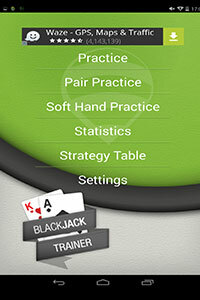 Even though Card Counter Free is not advertised as a blackjack training app, the reviews say that it’s perfect for practicing. The application is based on real and working smart strategies. It has a study guide to learn a card counting system, with demonstrations and multiple practice levels, each increasing in difficulty. You’ll start in ‘Tutorial’ mode and work your way up to ‘Challenge’ level. The free version will allow you to learn the Hi-Lo strategy, but by upgrading to the full you can learn even more. The free app has a 4,2 star rating, which is the highest in its category. 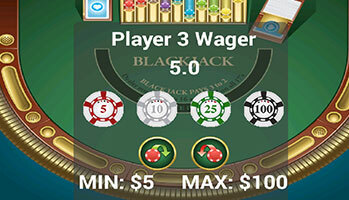 Blackjack Trainer can teach you: basic single deck strategy, basic multi-deck strategy, aggressive multi-deck strategy and smart multi-deck strategy. Its count methods are the following: high-low, canfield expert, way to riches and silver fox. The graphics are bit outdated and the app is available only in landscape mode. According to other users’ reviews, it needs a bit of getting used to. 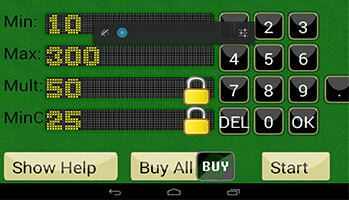 Try Blackjack from the dealer’s perspective! 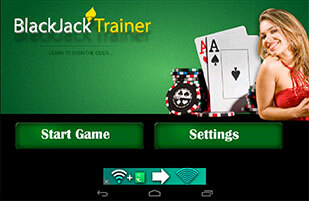 This is totally different from the other blackjack training apps, as it was crafted for people training to become blackjack dealers. It has four useful sections. 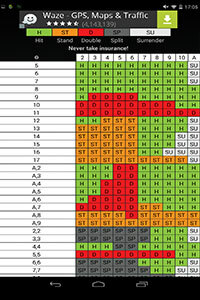 In the first, you’ll learn to see and calculate blackjack payouts. 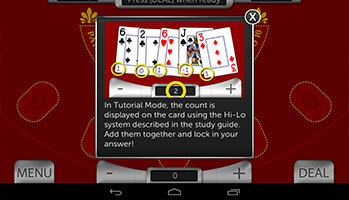 The second section you’ll be introduced to value counting, which is the ability to count the value of blackjack cards. 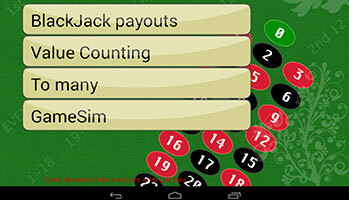 At the third stage, the app will adjust your count to the speed of dealing. 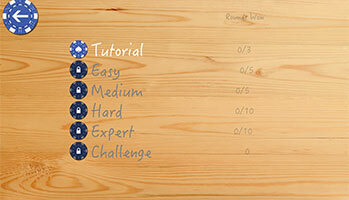 Lastly, on the fourth level you’ll become a dealer, using all the knowledge you learned through the different stages. The BlackJack Dealer Trainer is said to be especially handy for value counting.